Basically this was a cilantro-flavored cupcake made up of cornbread with chunks of bacon inside. I respect this bakery for trying to be creative with their savory cupcake flavor but I can’t give any compliments beyond that. At first the smell of fresh cilantro and cornbread coming from the frosting lured me into thinking it was going to be a savory and spicy southwest treat. No. This cupcake was just short of horrifying and I couldn't bring myself to find too many positive qualities about it. The cornbread was overly dry and crumbled in my hand and it was spicy but had no complimenting flavors to go with it. It was the kind of spicy that made you wonder if the bakers did that on purpose. I thought the flavor of the bacon might help it but the chunks were so tiny and overly cooked that it just made the overall textured too chewy and grainy. 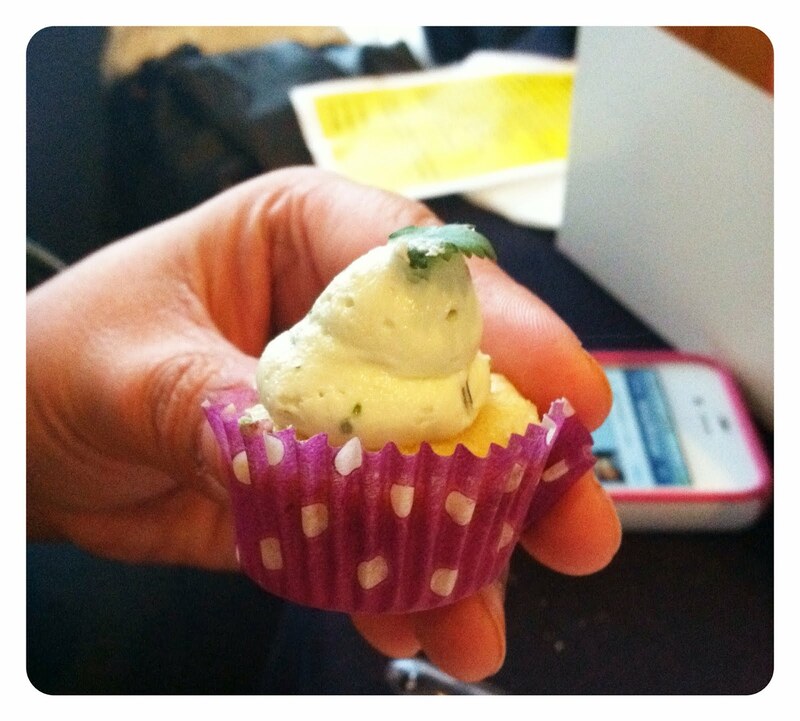 I didn't even try a bite with the fresh cilantro leaf in it because I felt like the flavor of the main ingredient already overpowered the whole cupcake. It’s safe to say everyone that shared my table at this event felt like it was one of the worst they tasted. I’m really hoping this was a special event flavor and not something they sell in their bakery on a daily basis.